The Joint Admission and Matriculation Board (JAMB) has responded to the news making the round on the social media that a hijab-wearing candidate was allegedly denied entry into the Unified Tertiary Matriculation Examination (UTME) hall in one of its centres in Megida, Ayobo. 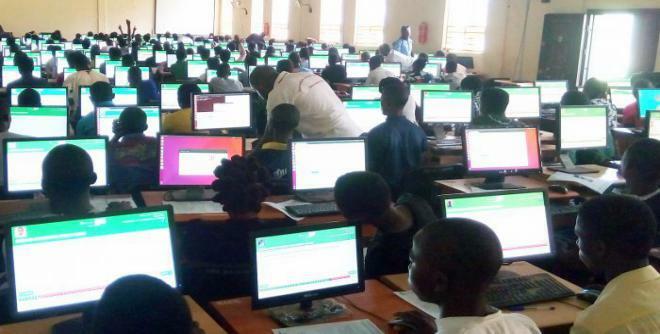 A popular TV broadcaster, Sulaiman Aledeh had raised an alarm on his Twitter handle @aledeh, alleging that his daughter was denied access to the examination hall to participate in the 2019 UTME which began nationwide yesterday, Thursday, April 11. According to Aledeh, his daughter was asked to remove her Hijab before she would be allowed into the hall at the UTME centre at New Ocean School, Megida, Ayobo. He stated that the daughter was later allowed in after some minutes. However, the Board in its response on @JAMBHQ wrote, “The attention of the Board was drawn to a story making rounds on social media about an incident concerning a candidate that was allegedly asked to remove her hijab before entering the examination hall. The examination body stated that two security operatives (one male and one female) were on the ground at every centre to screen candidates with dignity and respect. According to the Board, all officials were duly briefed on how to conduct themselves and what to look out for during the examination. “The incident must have been the result of an overzealous security agent (if at all it happened) and not aimed at disrespecting the candidate’s religion.” It concluded.